If you have a high speed Internet link, try the HD version of this video. 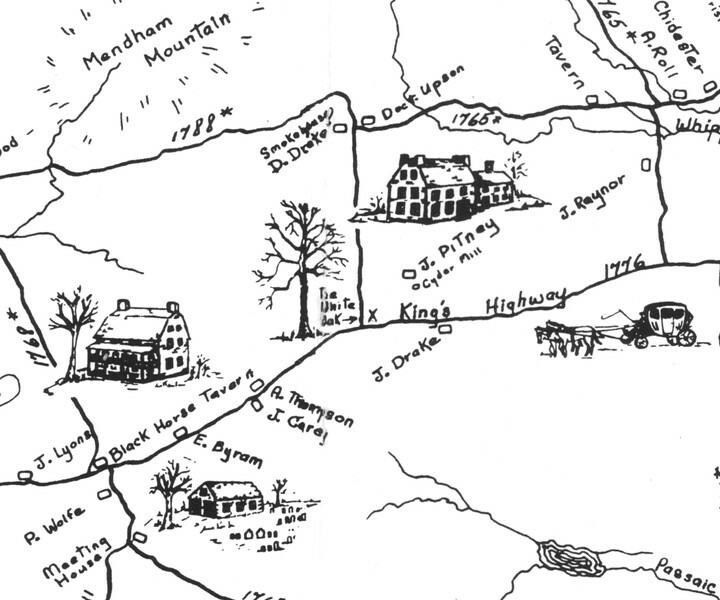 Before there was a Mendham, New Jersey (1749), there was Pitney Farm (1720). The “Pitney Oak”, an old oak tree that stood at the intersection of Mendham Road East (Route 24) and Cold Hill Road until 1984, was the marker from which surveys establishing much of present day Mendham property boundaries were delineated. The property exemplifies Mendham’s agricultural past and many residents now live on what was once part of Pitney Farm. What has transpired on and around Pitney Farm since 1720 is a reflection of our town and its evolution from a rural farming community to a residential suburb. Pitney Farm has stood through this nation’s history, its war for independence, its expansion from 13 colonies to fifty states, its civil war, and two world wars. It has born witness to an ever changing economic landscape of agricultural boons and busts, and an industrial revolution. Many of the eleven generations of Pitneys to live on the property responded to the challenges of their times and distinguished themselves through their participation and leadership. As producer/director and president of Our Town Films, Paul Sanderson has enjoyed considerable success in creating television documentaries and educational programs. Since founding Our Town Films in 1992, Mr. Sanderson has won over 30 national awards, including nine CINE Golden Eagles. The Library of Congress in Washington, D.C. has honored Mr. Sanderson by placing one of his films in its permanent collection. His programs have appeared on NBC, PBS, The Discovery Channel, A&E Network, The History Channel and CNBC.